Vineyards are now new weekend gateway in India. Waking up dizzy with a banging headache on a Sunday morning, does that sound familiar to you? And just as you get a hold of your hangover, you check the bank SMS on your phone. ‘Fatka laga!’ Pub hopping, spending on expensive drinks and foods, it can get the same and boring after a while. Why don’t you change the routine and pamper yourself with a fun and refreshing getaway? Sip on a glass of wine, relax in the warmth of the sun and gorge on amazing food while enjoying the beautiful scenery of green vineyards. Vineyards are now new weekend gateway in India that offer unique experiences & this could be your next awesome weekend plan! The wine has always been associated with France and wine tasting a hobby of connoisseurs and elite but that is no longer the situation in India. In the last decade, there is a surge in wine tourism and vineyards in Maharashtra and Karnataka have started offering the best experiences for lovers of wine. 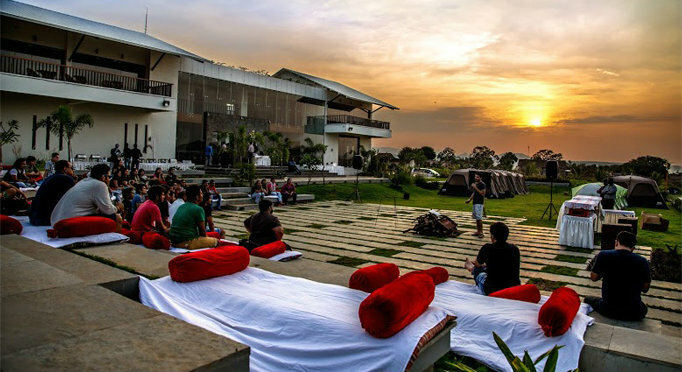 Here are some of the best vineyards emerging as a new weekend gateway in India for having a day of fun. Mumbaikars & Punekars, your search for new weekend getaway ends here! If you have tasted Indian wine, then most likely it has to be a Sula Wine. 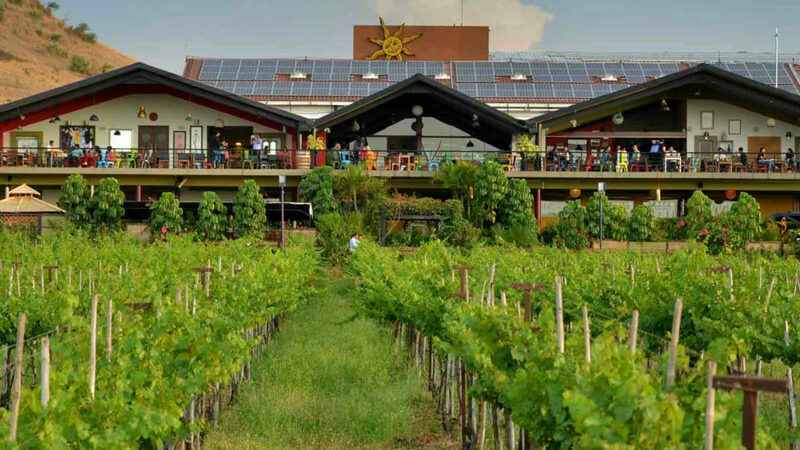 This spectacular vineyard produces some of the best Indian wines and if all you know about wine are the colours and then you have to visit this vineyard for their wonderful wine tours. After a hectic week at work, get your car ready for this drive to Nashik to drown away the stress in an exquisite glass of wine. This is suitably located for travellers from both Pune and Mumbai. Perfect for group outings, this vineyard is totally selfie worthy! This place is a labour of love for wine and is perfect for a romantic getaway. If you love the idea of watching the sunset on luxuriant grapevines while you sip on a sundowner, then this vineyard is for you. 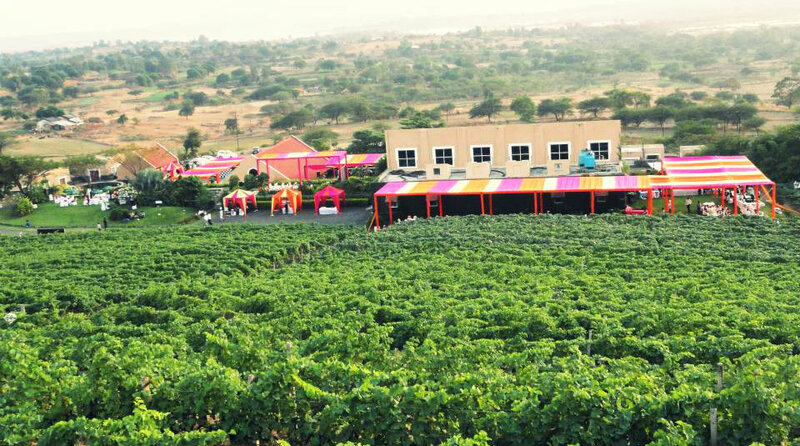 The vineyard near Solapur offers both day visits as well as overnight stays. Take your partner along to this beautiful destination, to reconnect and reclaim your love away from the buzz and noise of the city. You can’t hear each other over the din of the loud music at the pub but even whispers are perfect here in the serenity of the vineyard! 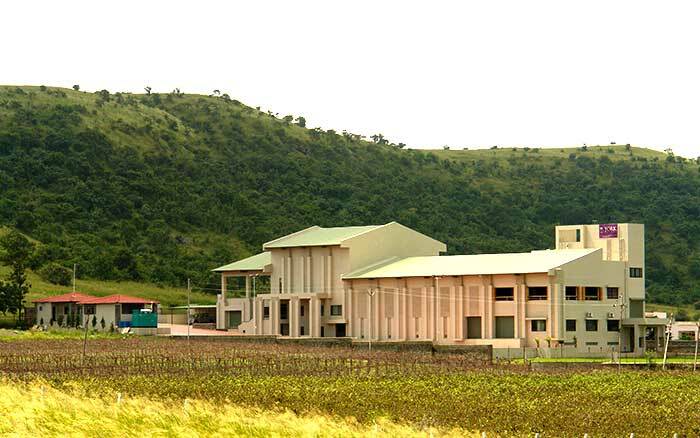 Nashik is truly the hub of vineyards but what sets apart the York Winery is the amazing location. Their tasting room is set right opposite a lake and nothing is more relaxing than chilling with a view of a tranquil lake. And what’s more, this is all super affordable, a vineyard tour and a wine tasting of 5 wine cost just Rs.150 per person! Quite a welcome ‘happy hour’ in the midst of nature you might say. Vineyards need a temperate weather and what can be perfect than the Bangalore weather? A new weekend gateway, the perfect place for peace lovers. This vineyard located near the picturesque Nandi Hills and the favourite of Bangaloreans for a quite weekend out in the countryside. A complete day out at the vineyard includes a winery tour, lunch and a wine tasting session. Oh, also take your binoculars along; the place is amazing for bird watching. You think there is only so much to see in a vineyard? Think again. This vineyard is set against the backdrop of rolling hills with the vineyards interspersed by coconut trees creating spectacular images. If you are a photography lover then think no more this is the perfect destination for you. They have the usual day visit but do stay back for their twilight barbeque, the highlight of the place. Are you ready to explore these new weekend gateway for those sun-kissed selfies, with the lush green vineyards for a background? Ready to relax with a delicious wine over a stale beer? Ready to savour delicious organic food over greasy club food? If yes, then you know that these five vineyards are worth ditching the parties for!